H x W: 30 in. / 25 in. General Sherman served during the Civil War under General Ulysses S. Grant in 1862 and 1863. He succeeded Grant as Commander of Union forces in the war's western theatre when President Lincoln appointed Grant to command all Union forces. 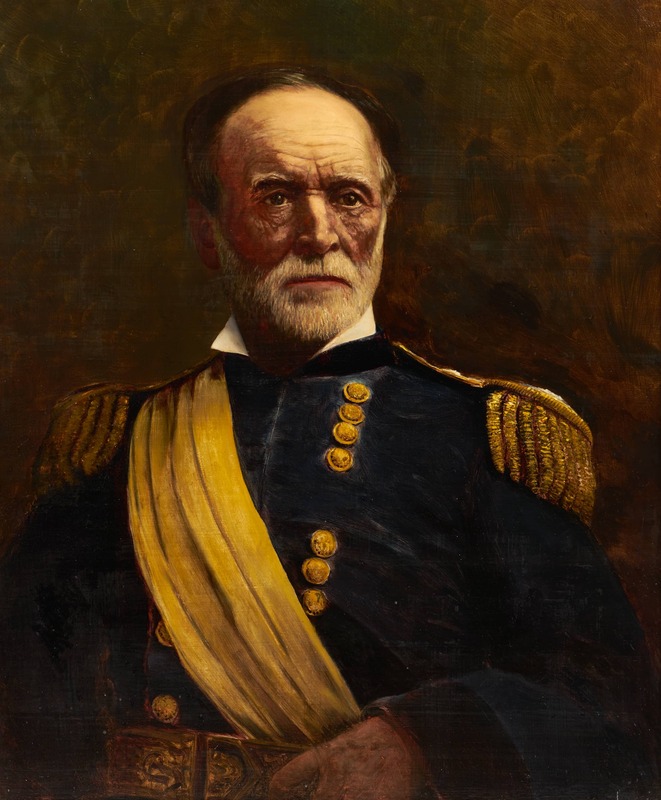 He led his troops to the capture of Atlanta and subsequently accepted the surrender of all the Confederate armies in the Carolinas, Georgia, and Florida in April 1865. Sherman succeeded Grant as Commanding General of the Army in 1869. He participated in the construction of the first transcontinental railway. One of his most significant contributions to the US military came in 1881, when he established the institution that would become the U.S. Army Command and General Staff College at Fort Leavenworth, Kansas.